Our courses on digital games and play are part of the Bachelor (BA) programs of Theatre, Film and Television Studies and Communication and Information Studies, as well as the 1-year Master (MA) program New Media & Digital Culture and the 2-year Research Master (RMA) program Media and Performance Studies at the Faculty of Humanities, Utrecht University. You can also choose games- or play-related topics as the main subject for your BA, MA and RMA thesis. For an overview of past (R)MA projects, click here. 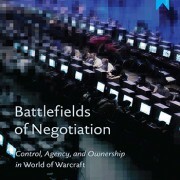 We offer a full-fledged Minor in Game Studies. In this minor program, students will follow four compulsory courses all of which can be found among the courses listed below. Students who participate in this minor will meet the requirements to qualify for admission in the New Media & Digital Culture MA program. 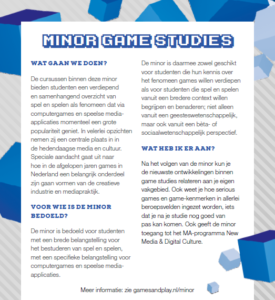 More detailed information about the Minor in Game Studies can be found on our Minor Game Studies page (in Dutch) or the flyer. The Minor in Game Studies is meant for students with a broad interest in play and games, with an emphasis on computer games and playful/gamified media applications. As such, the minor provides ample opportunity to investigate play and games from various perspectives, including art history, philosophy, communication studies, literature studies and a science or social science perspective. The minor program offers an overview of different ways to study games as objects, but also games and play as cultural phenomena which have become an important part of popular culture. For more information about the individual courses, follow the links provided below, or refer to the Faculty of Humanities’ Course Prospectus. 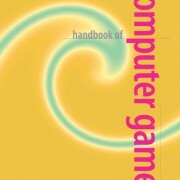 Course Description: In this course, computer games are theorized and analyzed from the following contexts:an academic context, a media historical context, a media comparative context and a culture scientific context. 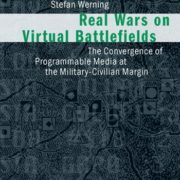 Coordinator: Prof. Dr. Joost Raessens; Dr. Stefan Werning. Teachers: Prof. Dr. Joost Raessens; Dr. Stefan Werning. 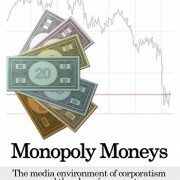 Course Description: After taking this course, students will be able to: recognize and better understand the playfulness of today’s media practices; conduct a comparative analysis of contemporary (and historical) media play phenomena; articulate valid research questions about playful media practices; write academically on this subject on an advanced level. Coordinator: Prof. Dr. Joost Raessens. Teachers: Prof. Dr. Joost Raessens, Dr. Jasper van Vught. Course Description: After completing the course the student can: characterise playful communication from various angles, particularly from the angle of analytical and cultural history; characterise, compare and use relevant research and methodological debates, especially textual-semiotic analysis (content, gameplay) and discourse analysis; create media litteracy in the field of playful communications (“ludoliteracy”). Course Description: After completing the course the student can: characterise the relatively young field of mobile media studies; reflect on the role of mobile communications in today’s mobile society from a empirical-analytical/culture-theoretical angle, conduct cultural-anthropological (ethnographic) analysis of a current mobile communication phenomenon. 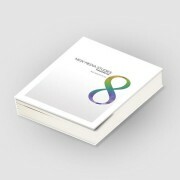 Course Description: This course is taught in period 1 of the MA program New Media & Digital Culture . The aim of the courses in block 1 and 3 is to enhance students’ theoretical understanding of changes in the way we engage with digital media. We will do this with a focus on play and (digital) games. The aim of Game Studies: Serious/Game/Play (period 1) is threefold: A. To investigate to what extent and in what way the notions of ‘game’ and ‘play’ can be used as a conceptual framework for the analysis of media use in the new spaces of digital culture (ludification of culture). B. 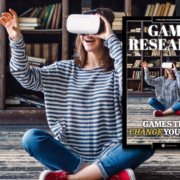 To examine how – serious, applied or persuasive – gaming and game mechanics/gamification are being used outside of entertainment, including in education and for the purpose of political action. 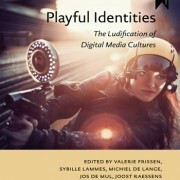 C. To investigate to what extent and in what way, digital gaming technologies are transforming the construction of personal and cultural identity (playful identities, homo ludens 2.0). 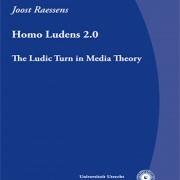 Tutorial Description: This tutorial starts in period 2 of the Research MA program Media and Performance Studies. Students conduct discussions (during a period of 7 weeks) with a specialist, focusing on a specific subject with a reading list agreed upon beforehand. The tutorial concludes with a 5000-word final paper produced by the students. The subject of this tutorial are: The Rules of Play. 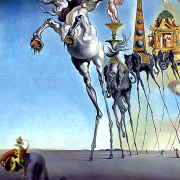 Course Description: This tutorial is taught in period 3 of the Research MA program After having completed to course successfully, students (1) critically reconstruct a complex academic concept to related concepts and to developments in the field; (2) write a critical literature overview; (3) orally present findings of their research inspired by one of the central categories discussed in this course.